Our volunteers are crucial to our ongoing campaign to create awareness and understanding of the life-changing reality of living as an amputee or limb impaired. We always need volunteers to help with fundraising and collections, offering hope and empathy to new amputees and the limb impaired. As an amputee for two years I have every empathy with fellow amputees who suffer with the frustration of coming to terms with life as an amputee. The journey from trauma to living a normal life is very difficult and I am very proud to work alongside Ray and Gary to help this marvellous charity. 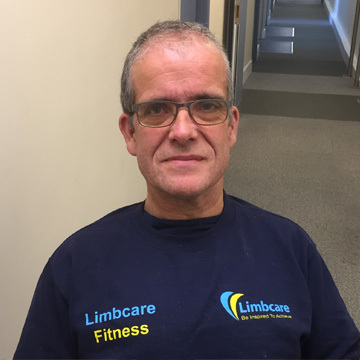 Limbcare has and is helping me as well to overcome my difficulties and enjoy the friendship and fun we have when we are promoting the charity in the community. I have been volunteering with Limbcare since the beginning of October 2016 - this includes maintaining/updating the database, answering the phone, mailing literature, and providing any additional admin support as required. 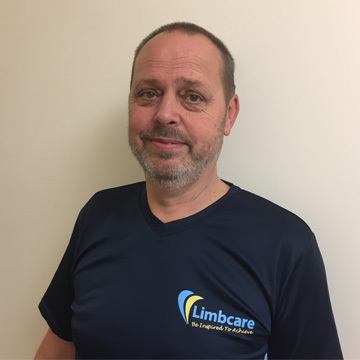 One of the reasons for volunteering with Limbcare is the fact that it is a local charity and, as well as working in the office, I am able to provide additional support from home. 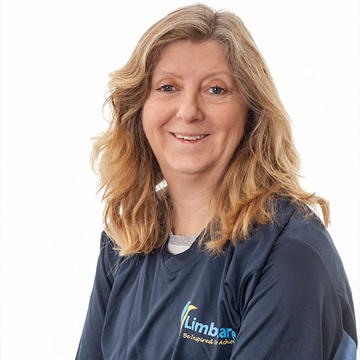 Everyone I have met since joining Limbcare has been extremely friendly and welcoming and I settled in straightaway. 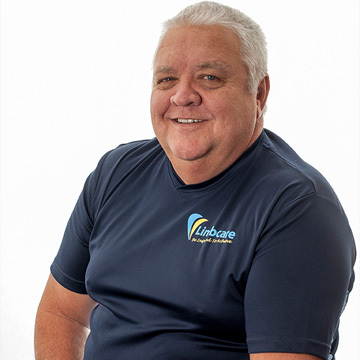 I am very pleased to be able to offer my time to drive our Limbcare van and help with the collections of mobility aids, wheelchairs and mobility scooters. Limbcare is a great Charity and does so much good work; it is an honour to work with the team. I am a wheelchair user. This has not stopped me achieving anything that I put my mind to. I say "where there's a way then I'll find it." I am a fitness instructor / personal trainer; my passion is getting people fit, especially those with special needs or who find going to the gym hard, for some reason or another. I am a Paralympian and went to the Seoul Paralympics in 1988. I was a power lifter and I have always been into sports in various forms. I go to the gym regularly and I also attend a kick boxing class once a week, which I really enjoy. I became aware of the Limbcare charity after helping a young amputee in Thailand, whilst on holiday. Limbcare offers valuable guidance and assistance in sourcing a prosthetic limb. It was inspiring to meet Ray Edwards MBE and be introduced to the Limbcare charity. 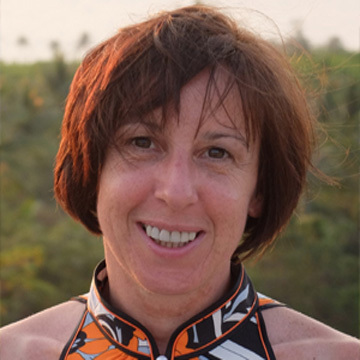 I am a musculoskeletal physiotherapist with over 25 years' experience working with many different disabilities and injuries. 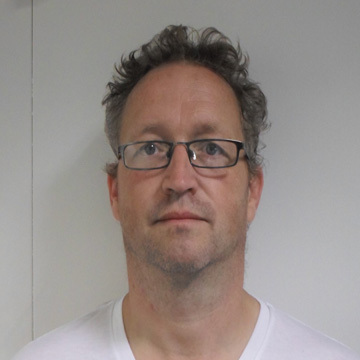 Having worked as an extended scope practitioner specialising in the knee I have, for over 10 years, established a successful private clinic in Manchester, taking a particular interest in gait analysis and the use of corrective orthotics. It would be of particular interest to continue my association with Limbcare by offering any relevant support and help in this field. I met Ray when he was promoting Limbcare in Farnborough. My wife had so many questions that needed answering before my below the knee amputation, and Ray put her at ease with all the relevant answers. At this point, I was so inspired by Ray and Limbcare, that I became a volunteer in order to support others in need.